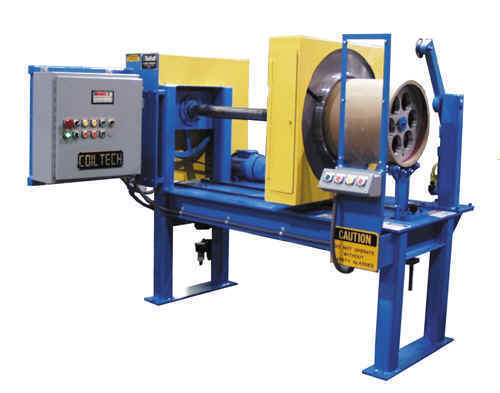 Coiltech's patented programmable dust-free cardboard core cutter is the state of the art in cutting cores from 6" dia. all the way up to 24" dia. Our core cutter is many times more productive than a saw, and cuts tubes into precise width, smooth edge cores, with no dust or debris. 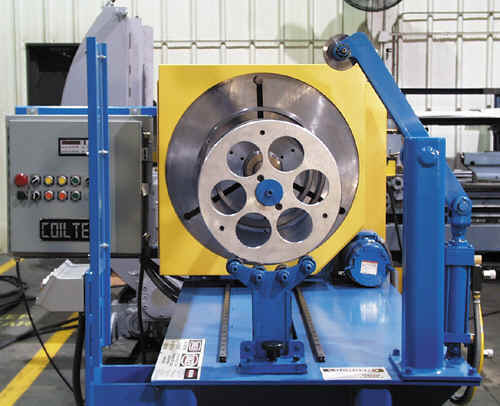 The Coiltech core cutter is similar to a lathe using a headstock mounted driven "chuck" and a "steady rest" to grip, drive, and support the cardboard tube. 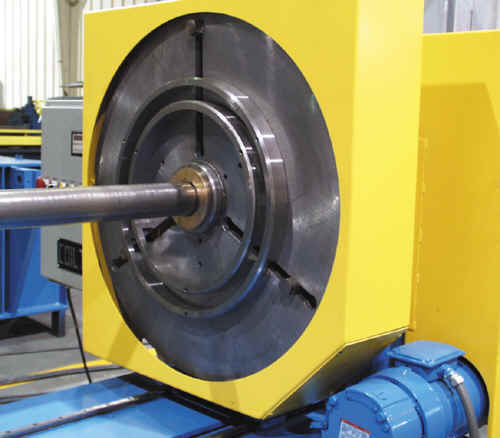 The cutting of the tube into coil cores is performed by a sharp edge rotary knife that "slices" through the tube wall (like a pipe cutter) producing a smooth edge and no dust or scrap in the cutting process. The rotary knife is driven into the cardboard core wall by a pneumatic cylinder. The headstock, mounted on precision anti-friction ball slides, positions the cardboard tube for cut-off with a DC motor and programmable microprocessor controller. 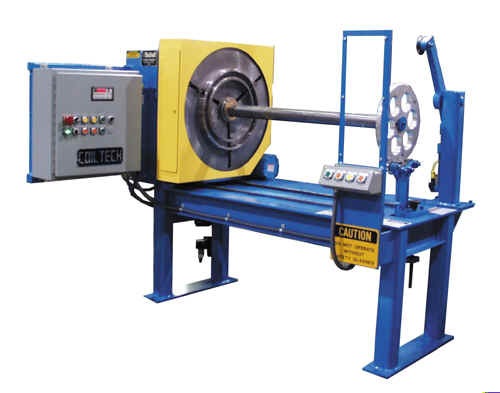 The operator can program the core cutter to produce up to five different coil core widths and quantities from one raw cardboard tube. Once programmed, the cutting cycle is fully automatic. Standard machines handle either 48" or 72" long cardboard tubes.